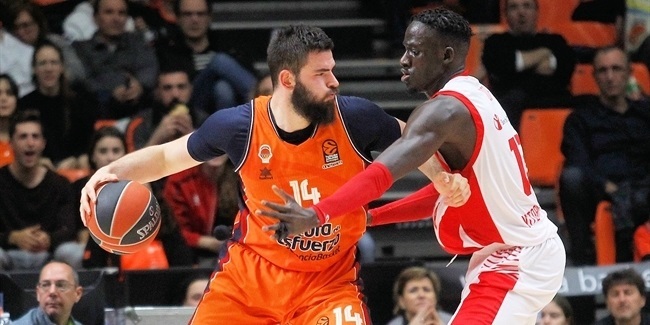 Valencia Basket and combo guard Antoine Diot agreed to a new pact to keep the sides together through the end of the 2018-19 season, the club announced Wednesday. 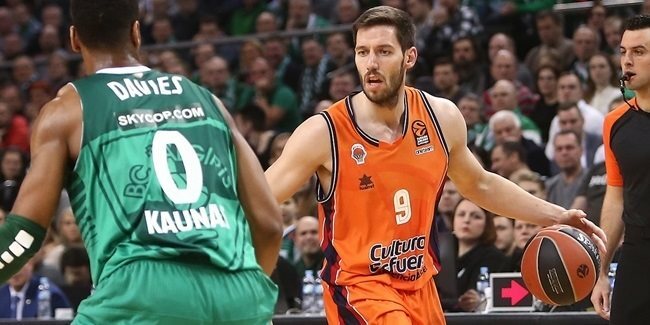 Diot (1.92 meters, 28 years old), who first joined Valencia in 2015, averaged 8.7 points and 4.4 assists in 14 7DAYS EuroCup games last season as Valencia went all the way to the Finals. He also helped Valencia win its first Spanish League title and make it to the Spanish Copa del Rey title game. He joined Valencia from Strasbourg, where he played for two seasons. Diot started his career with INSEP and also played for two other French teams, Le Mans Sarthe Basket and Paris Levallois, before joining Strasbourg. He won the French Cup with three different teams - Le Mans in 2009, Paris in 2013 and Strasbourg in 2015. Diot also lifted the Semaine des as trophy with Le Mans in 2009 and claimed the French Leaders Cup crown with Strasbourg in 2015. Diot is also a regular with the French national team, with whom he won a gold medal at EuroBasket 2013 and a bronze at the 2014 Basketball World Cup. He also enjoyed success at the youth level; Diot led France to respective gold medals at the 2004 U16 European Championships and the 2016 U18 European Championships, silver medals at the 2005 U16 European Championships and the 2009 U20 European Championships, and a bronze at the 2007 U19 World Championship. In his only previous Turkish Airlines EuroLeague experience, Diot averaged 8.3 points and 3.8 assists over nine games with Strasbourg in the 2013-14 season. 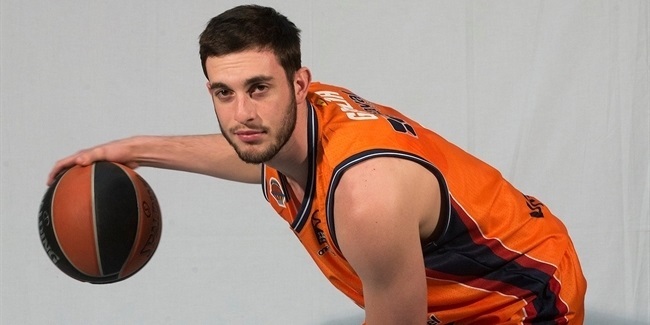 Days after making a successful Turkish Airlines EuroLeague debut, Valencia Basket guard Sergi Garcia will miss at least three games over the next two weeks due to an injury.